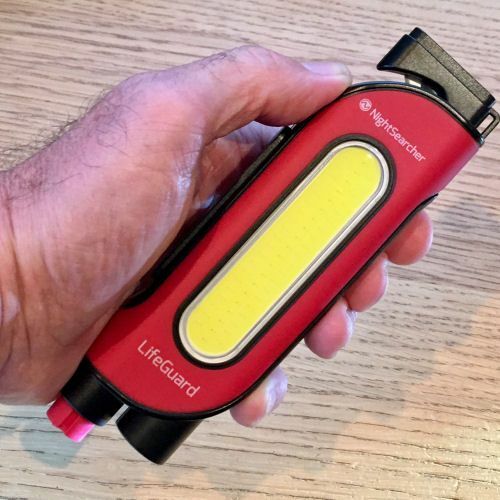 Nightsearcher LifeGuard Tool is an emergency kit all in one, ideal for first responders, paramedics and police officers. 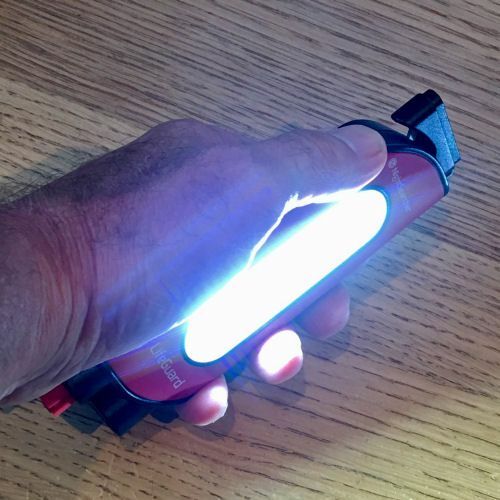 The powerful floodlight has a torch and a recessed razor blade seatbelt cutter. 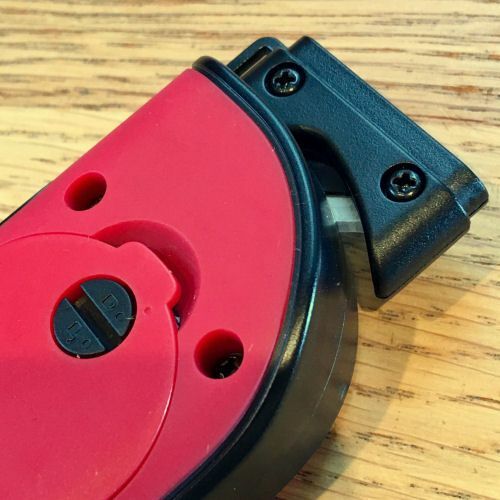 Also a stainless steel emergency breaking pin automatically deploys when pressed against a window for glass breaking. 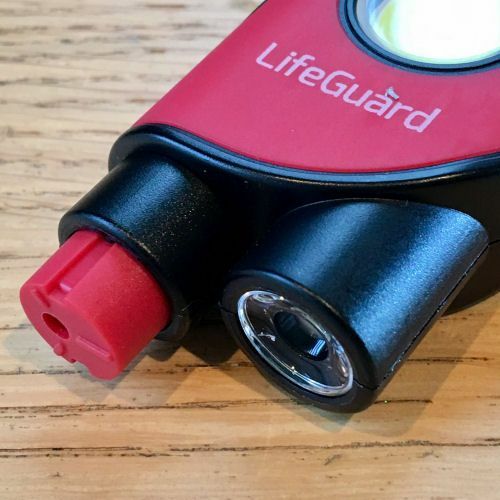 The unit is also magnetic so you can stick it to the outside of your car and use the emergency red flashing warning light to give extra visual protection. The yellow panel shown in the photographs contains the white LED light and if the button is pressed and held down for three seconds this panel then illumites the red flashing LED's. 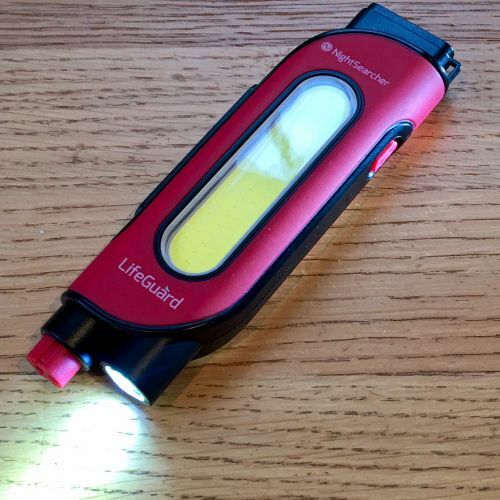 This little piece of kit is a 'must have' for front line responders and police officers etc.